This Argentinian Malbec we’ve sampled once or twice previously (albeit before starting this blog), an affordable red from South America’s Mendoza region. It definitely has a whiff of berries and “deep red” about it. I’m reserving some additional notes for the next tasting, but this first bottle we split over two evenings–the second one with dinner. 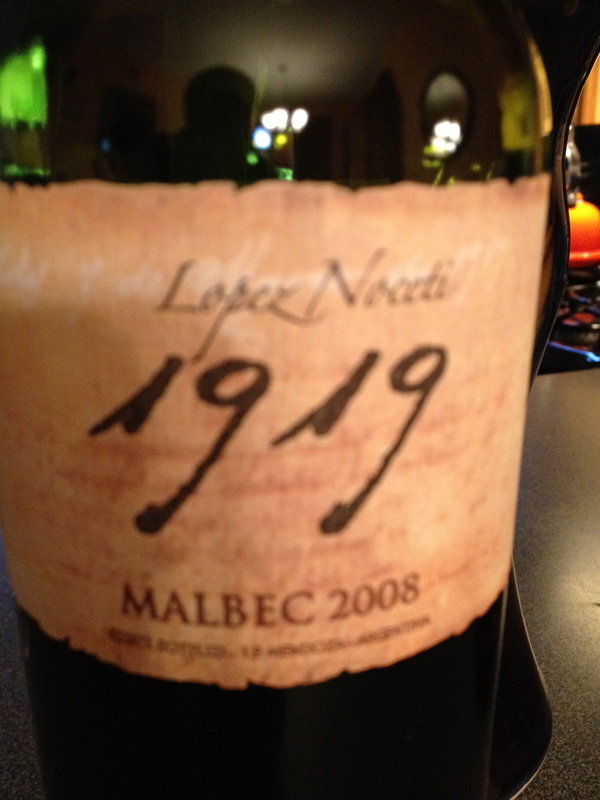 We had this Malbec with a delicious apple blue cheese salad and perfectly readied pork chops.